When you're finished with your early morning duck hunting, as long as you've got the dogs all warmed up, it's a great time to take advantage of our vast acreage available for upland game bird hunting. 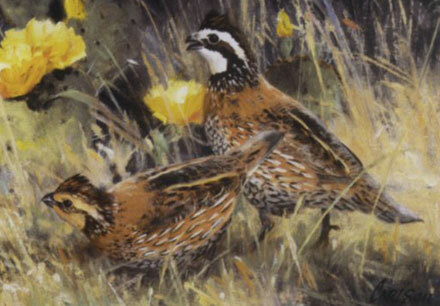 Our pine ridges mixed with fields of perennial grasses, lespedeza, milo, and small grains, are the perfect environment for Quail and Pheasant. So, come on out, stretch your legs and let the dogs loose to chase out some birds! It's a great hunt for a group of friends or corporate function. We offer custom hunt packages, so if you'd like to make a day of it (or even two or three), give us a call at 866-614-7281 and we'll make the arrangements - special rates apply! 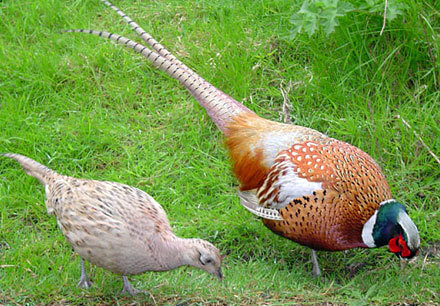 Check out our Upland Game Bird Photo Gallery for pictures of some of our previous hunts. 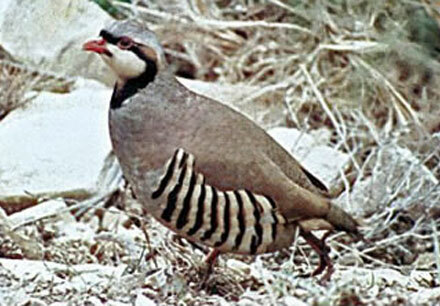 Wild Quail: Daily limit 6 Possession 12; Season, no limit. 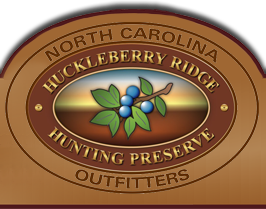 Please visit the NC Wildlife Resources Commission Web site or call them at (888) 248-6834 for further information and licensing requirements for all upland bird hunting in our region. 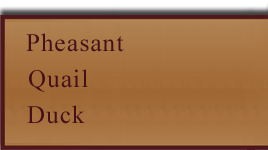 Call our toll-free number at (866) 614-7281 and speak with one of our guides to make arrangements for a hunt. We require a 50% deposit to make the reservation. All major credit cards accepted. Prices and limits are subject to change without notice.